Randall Higashida, M.D. is Clinical Professor of Radiology and Biomedical Imaging, Neurological Surgery, Neurology, and Anesthesiology at the University of California at San Francisco Medical Center. He is Chief of the Division of Interventional Neurovascular Radiology, one of the leading institutions specializing in the minimally invasive treatment of complex cerebrovascular diseases and stroke. Dr. Higashida has published over 310 scientific articles on stroke and cerebrovascular diseases and authored over 110 book chapters and 4 textbooks. His articles have appeared in Stroke, American Journal of Neuroradiology, Journal of Neurosurgery, Journal of Endovascular Surgery, Lancet, Neurology, the New England Journal of Medicine, the Journal of Neurointerventional Surgery, and the Journal of the American Medical Association. He is on 10 scientific editorial boards and serves as a manuscript reviewer for 9 additional journals. He has presented at over 750 scientific and professional meetings around the world. Dr. Higashida has served as a member of numerous medical and scientific committees including the Cerebrovascular Neurosurgery Task Force Committee, the American Heart Association Stroke Council Research Committee, the American Society of Neuroradiology Executive Committee, and the Society of Neuro Interventional Surgery Executive Committee. He is past President of the Society of Neuro Interventional Surgery, past chairman of the American Heart Association Council on Cardiovascular Radiology & Interventions, a member of the U.S. FDA Neurological Devices Advisory Panel, and was on the oversight committee of the National Institutes of Health trial for carotid artery stenting. 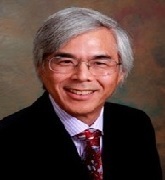 Dr. Higashida earned his medical degree from Tulane University School of Medicine. He earned his undergraduate degree from the University of Southern California and did his residency and fellowship training at UCLA Medical Center, in Los Angeles, California.